Can veteran striker Antonio Di Natale help bring the Scudetto to Udine? Aside from an unrecognised pre-FIGC championship in 1896, Udinese’s closest brush with Scudetto success game in 1954-55. Hopes weren’t high going into the season: the Bianconeri had finished 16th the previous year, staving-off relegation with two play-off draws. Another season of struggle was expected, and Udine did little to defy the expectations in the early stages. They started the season at home to champions Inter and were beaten 2-0. A 3-1 defeat at Napoli followed, and Udinese suffered a humiliating 5-0 drubbing at Catania next. Shipping goals and rooted to the bottom, Udinese were in trouble already. This changed with the signing of Umberto Pinardi, a defender previously of Juventus and Como. Pinardi’s arrival provided the attack-minded Bianconeri with improved balance and defensive solidity. Udinese ran-out 3-0 winners over Genoa in Pinardi’s debut and only lost another three games all-season, the last of which came on December 12th (2-0 vs. Sampdoria). The defensive strengthening had had an obvious immediate impact. Game after game drew Udinese closer and closer to table-topping Milan. The Scudetto race opened-up, and a Bianconeri hot streak moved them to within four points of the title favourites by May 1st, 1955. The teams met in Udine for a vital contest on that date, with Milan on 39 points and Udinese on 35. Anxiety filled the Stadio Moretti, but the Zebrette tifosi knew they were within touching distance of a first Serie A championship. The excitement was palpable. Disaster struck in the game’s early stages when Udinese ‘keeper Gianni Romano was stretchered off after a collision with Gunnar Nordahl, Milan’s Swedish forward. Substitutions weren’t allowed in 1955, so the Bianconeri were forced to solider-on against the strongest team in the league with just 10 men. Instead of capitulating, Udinese rallied. They showed incredible grinta and fire to battle through the 90 minutes, and they emerged with a miraculous 3-2 victory. Now the title race was well and truly on. The momentum was with Udinese, and all they had to do was overturn a one-point deficit to claim the Scudetto. Sadly, Udinese lost their form. Milan collected 9 points from their last 5 games, and the Bianconeri couldn’t keep-up the pace. Dropped points to Pro Patria, Novara and Torino proved decisive, and Udinese finished on 44 points (four short of Milan’s 48). Udinese have come close since, finishing fourth in 1956-57 and 2004-05 and third in 1997-98. Nothing, however, has matched the excitement of the 1954-55 title race. They finished a superb fourth last season, thrilling the peninsula with some of the most exciting, attacking football in Europe but ultimately finishing 16 points behind champions Milan. 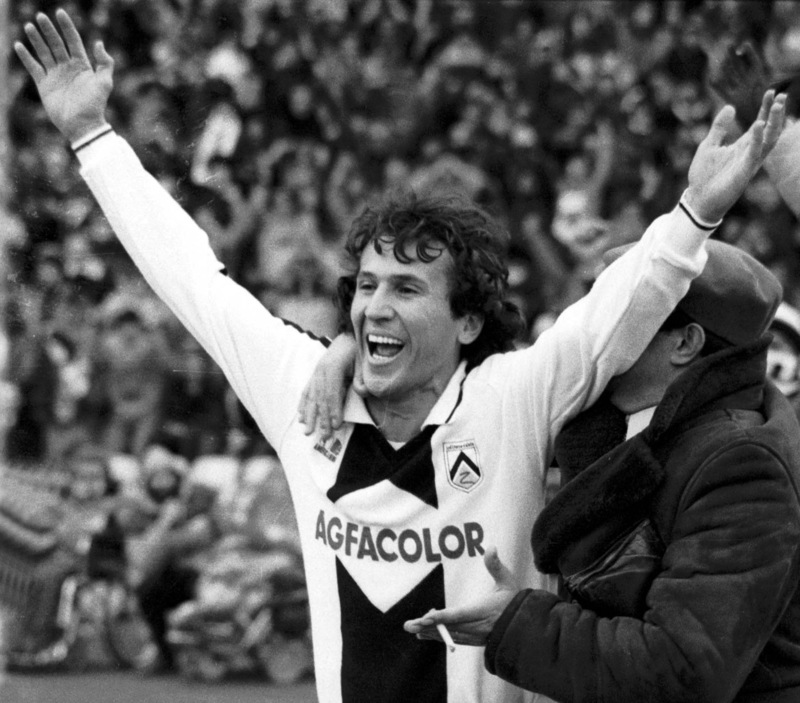 This season, however, I believe that Udinese have the potential to mount their strongest title challenge since 1955. The Bianconeri have conceded just seven league goals this season. That’s an average of 0.5 goals per game: a marked improvement on last year’s still-respectable 1.13. Udinese’s average goals scored has decreased from 1.71 to 1.29, reflecting a shift in coach Francesco Guidolin’s philosophy. Udinese have added defensive steel with compromising much of their attacking verve. The three starting centre-backs – Danilo, Maurizio Domizzi and Mehdi Benatia – are having excellent seasons, but they aren’t the only reason for Udinese’s new watertight defence. ‘Keeper Samir Handanovic must now be considered among the best in the world. The 27-year-old Slovenian has looked unbeatable at times over the past few seasons, and he’ll surely be the subject of some big money bids next summer. Udinese have the best defence in Italy (Lazio are second with 11 conceded), and Handanovic’s form has been a huge contributing factor. Udinese are currently second in Serie A, level with leaders Juventus on points (30). Their next two fixtures should give us an idea of their title credentials. Udinese face Lazio on Sunday and Juventus ahead of the winter break on Wednesday. The Zebrette have already played Milan, Inter, Napoli and Roma, but these games could be the toughest of their season so far. Antonio Conte’s Juventus haven’t steamrolled their way to the top of the league, but they’re efficient, functional and undefeated. The young coach has made an excellent start to top-tier management, and Udinese will do well to keep their dominant midfielders (Pirlo, Vidal, Marchisio et al.). Lazio, meanwhile, have a new lethal spearhead in Miroslav Klose and a rock-solid defence. Edy Reja’s men are just two points behind Udinese and are one of Serie A’s toughest teams to beat, having lost just twice all season. Udinese must match these teams if they’re to make a serious Scudetto bid. This is one of the most competitive leagues in recent years, and there’ll be plenty of teams waiting to take Undinese’s place if they stumble. Much of the Bianconeri’s success hinges on their talisman, Antonio Di Natale. Guidolin’s 3-5-1-1 system is designed to feed the ageing striker, and Udinese are highly reliant on his goals. Toto has struck 10 times in Serie A this season; 56% of Udinese’s total (18). Wing-backs Dusan Basta and Pablo Armero are next in line with three each. 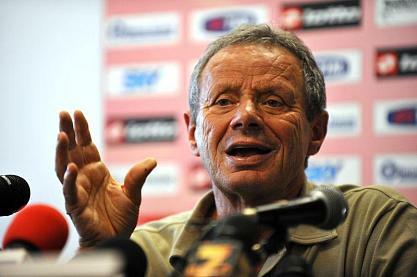 Antonio Floro Flores, Di Natale’s deputy, is yet to score in nine appearances. The statistics say everything about Toto’s importance, and a long-term injury would likely derail Udinese’s title hopes. Still, the Bianconeri have a balanced XI with a solid defence, drive on the flanks and a midfield blend of guile and grinta. Udinese’s intangibles make the team a sum greater than their parts, and a bit of luck should see them push Juve & co. all the way to the wire.